Trieste Friuli Venezia Giulia Airport (TRS) has a single, well-equipped terminal that deals with all international and domestic flights. 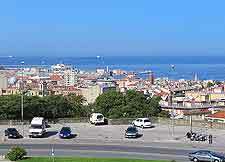 Major airlines operating flights to and from Trieste Airport include Alitalia, Lufthansa and Ryanair, with flights available to the UK, Germany and the Far East. There are several good shopping options based onsite. As well as duty-free outlets, you will also find a newsagent and a range of smaller shops selling gifts and souvenirs. Hungry or thirsty passengers should head to the bar and restaurant, located on the second floor. The information desk can assist passengers with lost property, baggage services and general tourist information, while other services provided at the airport include a baby-changing room and first aid facilities. Financial services are provided at the airport's onsite bank, while ATM machines are well spread throughout the terminal. Passengers requiring business services should head to the VIP lounge, where facilities for small groups are available. Alternatively, there are a range of conference rooms that can be reserved and equipped to suit specific needs. Disabled passengers are well catered for at Trieste Airport, with specially adapted toilets, fitted ramps and wheelchair-friendly lifts provided throughout the site. Passengers needing wheelchairs or any other special assistance should contact their airline in advance.